Not long ago, the office was a place where you went to work, and not a place where an activity was needed to be completed. Over the past decade or so, a number of factors have started to drive the change in how we work. In fact, the office landscape has almost completely changed over the past decade. Many professionals may be of the opinion that technology has been one of the key catalysts in changing the office landscape, but it is not the only factor. The office design layout has also taken a sharp turn from the traditional cubicle layouts to open office plans and now the hybrid offices are taking over. Have you lately been to a job interview where the light, bright surfaces and lush environment had you anticipating a spa service following your meeting? This is how the modern-day hybrid offices look. Amer Adnan Associates, a renowned construction company in Lahore strongly recommends all its corporate clients to create offices that not only ensure productivity but also ensure health, wellness and mindfulness for the employees. In this article, we have listed down some of the most popular office design trends of 2017. Since the traditional cubicle offices have already been replaced by open plan offices, 2017 is witnessing further innovation in workplace layout designs with hybrid offices which are dominating the workplace environment. Since the cubicle offices discouraged teamwork and promoted office politics, they were replaced by open offices, but they eliminated the privacy factor and caused many other issues for the employees. 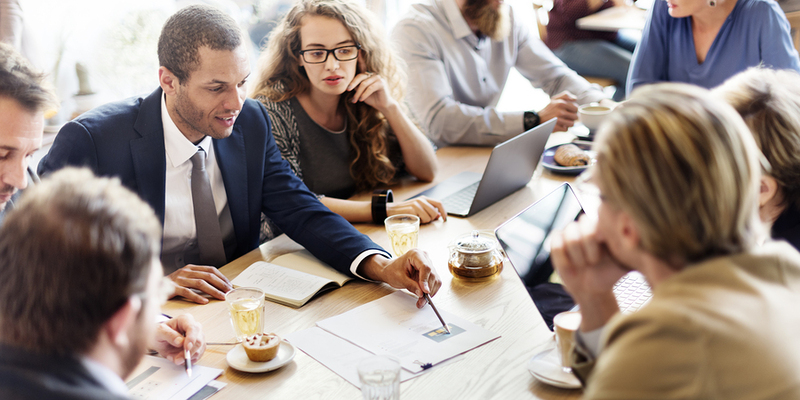 To solve this issue, hybrid offices have been introduced and now modern business organizations are opting for offices that have both open workplaces as well as meeting/conference rooms to allow employees to work as per their specific needs. In 2017, the way we work has greatly changed and our office furniture is no exception. The employees are now preferring desks with built-in and easy-to-access charging stations as well as storage options. Moreover, ergonomic chairs and tables have become more common as they ensure health and wellness for the employees over longer durations. All this has made the daily stopover in the office to work for a few hours more convenient than ever. It is quite normal for an employee to spend more than nine hours inside the office. 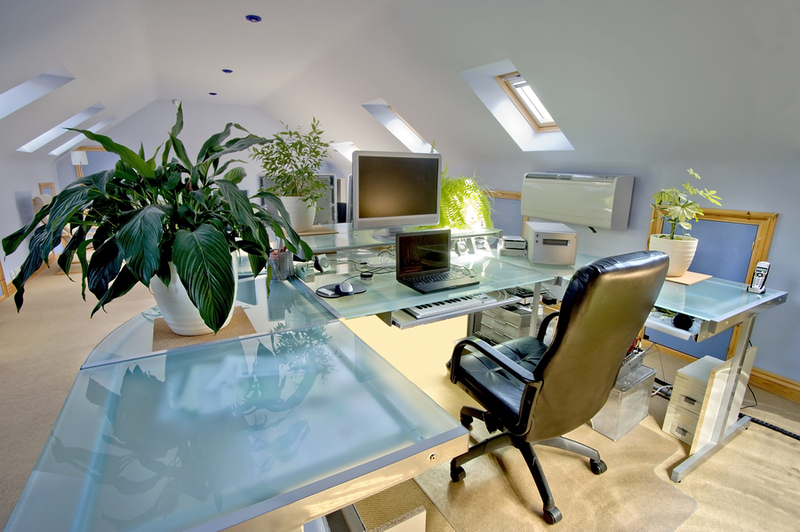 The incorporation of natural elements in offices is a trend that is gaining great popularity. The interior decorators in Pakistan and around the world are now focusing more on instilling nature within offices. 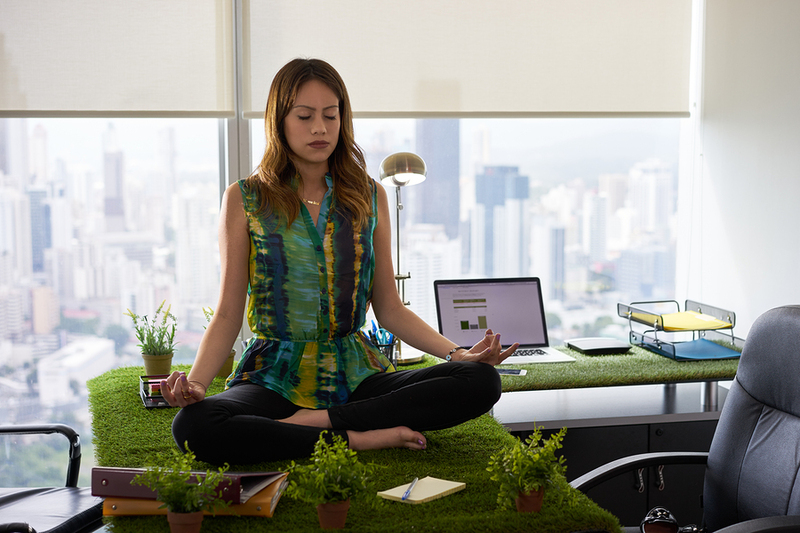 According to experts, office landscaping makes employees more productive. For instance, one of Google’s offices boasts an indoor orange grove that doubles as a collaborative workspace, making employees feel as if they’re conducting business on park benches. The trend of eating lunch and snacks on workstations is now phasing out and offices are opting for designated dining areas. In this regard, dedicated office cafeterias are pretty much trending. This not only helps in keeping the workplace clean and tidy but also encourages bringing together all office workers once a day during the lunchtime. This promotes an open and friendly work environment as well as creates opportunities for breaking ice with newer colleagues. It also promotes the culture of sharing food so nothing is wasted and everyone is well-fed. The trend of offering gym memberships has plummeted in 2017 and business organizations are now opting for wellness-focused initiatives throughout their offices. By wellness-focused spaces, we do not just mean yoga mats or juice bars, we mean dedicated rooms with complete gym equipment. Besides this, many modern companies are also ensuring proper ventilation, natural lighting and cleanliness in their offices to ensure healthy working environment for their employees. A select few also offer nap rooms, maternity rooms, daycares and even spas to facilitate the wellness of their employees.